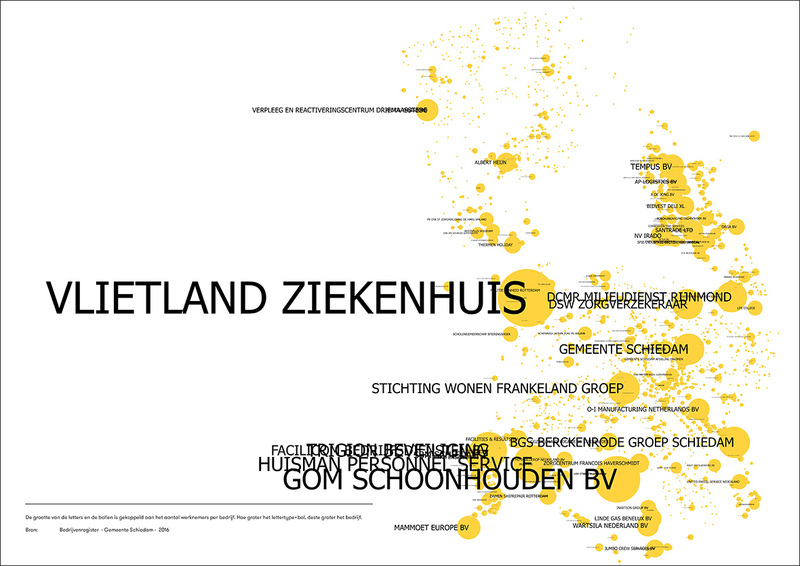 During the past months, karres+brands drafted the Atlas of Schiedam based on elaborate data-analyses. 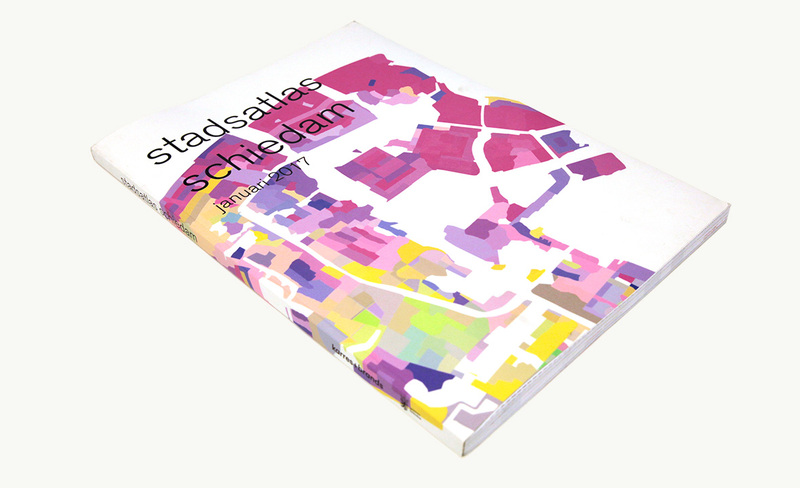 The reason for drafting the atlas came from the desire of the Municipality of Schiedam to investigate its housing needs and to define which types of living environments should be realised. The idea is that if the right housing is added to the right locations, the urban structures will be strengthened and a vital city will develop. 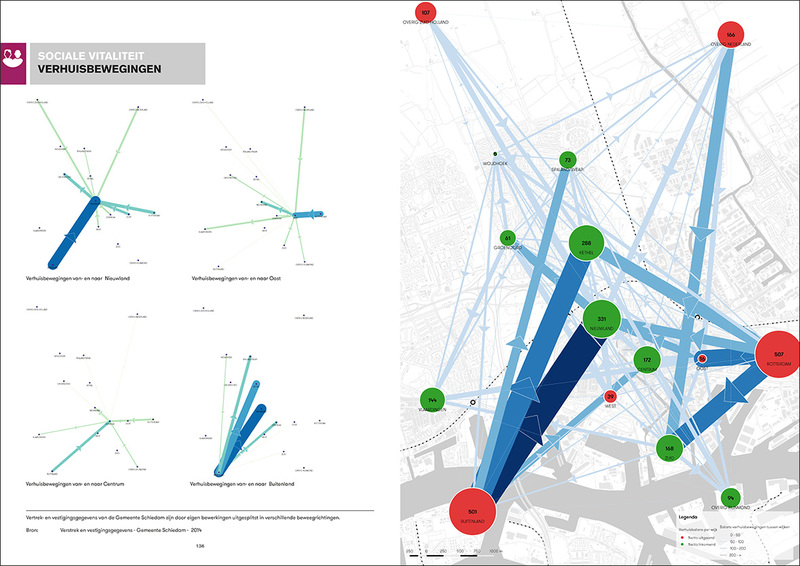 In order to gain insight in the patterns of spatial activities, the places where people come together, routes through the city and how these elements change over time, karres+brands developed a new method in which the growing amount of data is used to understand the dynamics of the city. 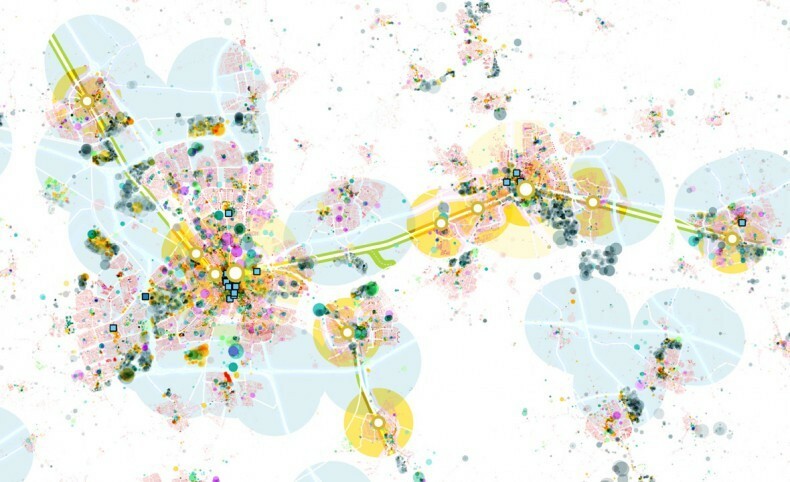 By collecting, combining and visualizing public datasets (like the amount of available housing, use of amenities, pedestrian flows and online search behavior) a whole new image of the city is constructed; sometimes it is a confirming image, but more often a surprising one. An example of this: During the preliminary research, the sauna of Schiedam came up as one of the most important hits on Google when searching for the city. Striking is, that this hotspot of people was not mentioned in any structural vision of the municipality even though it could offer a lot of opportunities for the development of the city. The results have been shared in a variety of informative sessions with civil servants and aldermen and will be reflected on as part of the entire study in a later stage. 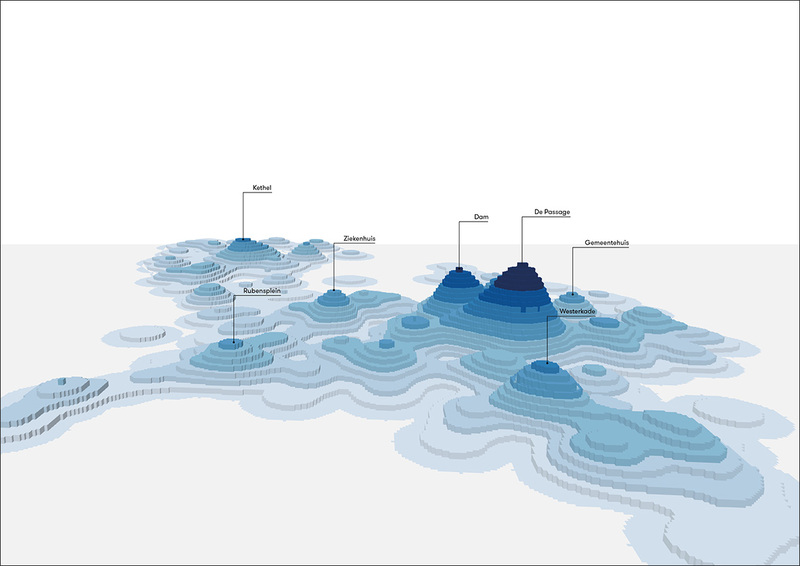 This way, the urban atlas provides more complete insight of the way the city functions to everyone who works on the development of the city and can therefore be used as a base for new plans and developments.